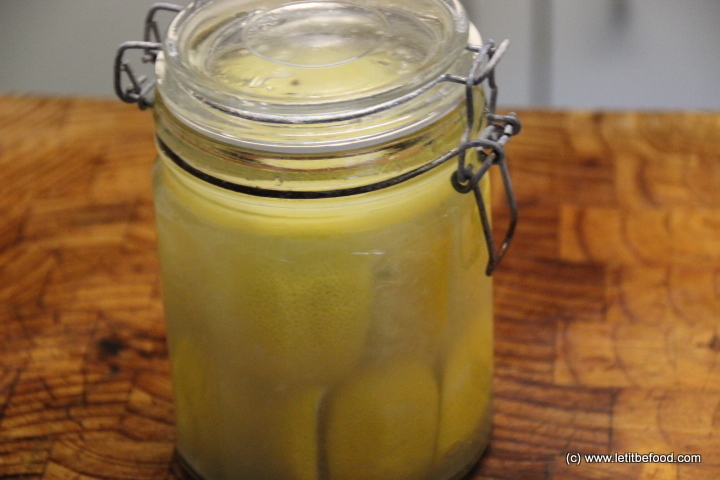 Preserved lemon or lemon pickle is a condiment that is common in Indian, Middle Eastern and North African cuisine and occasionally in Asian cuisine. 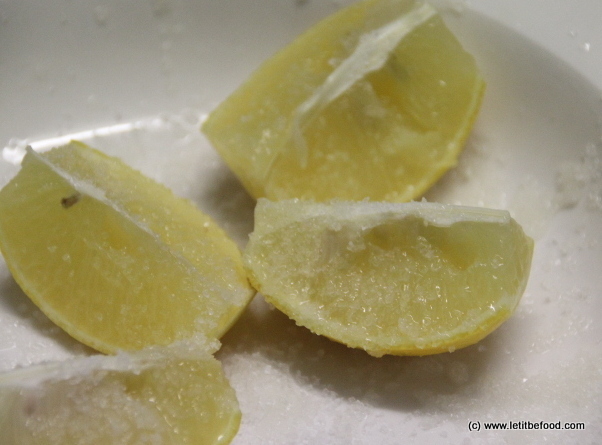 The pulp of the preserved lemon can be used in stews and sauces, but it is the peel (zest and pith together) that is most valued. The flavour is mildly tart but intensely lemony. 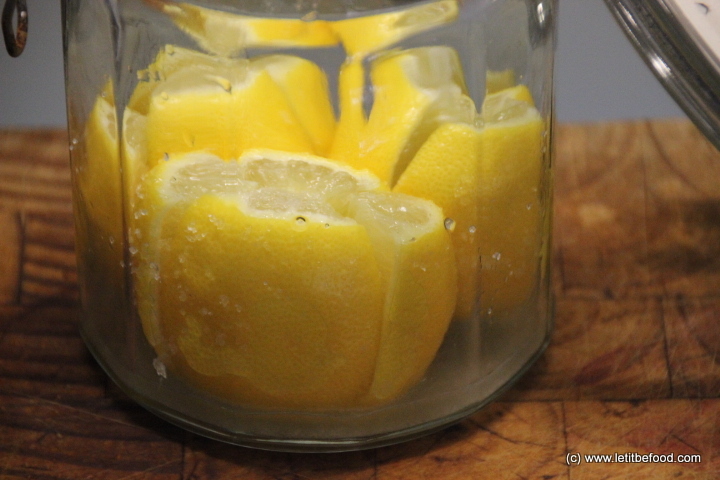 The pickled lemon must be thoroughly washed before using to remove the surface salt or it may be blanched to remove more of the salt and bring out the natural mild sweetness. They may then be sliced, chopped, or minced as needed for the texture of the dish. The rind may be used with or without the pulp. 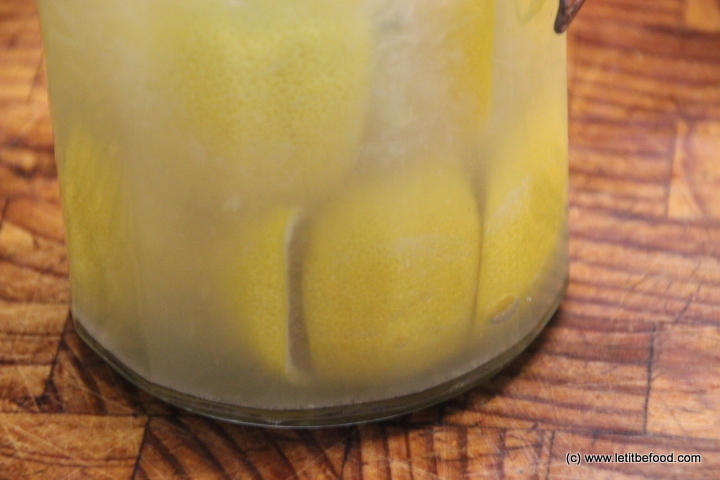 Preserved lemon is often combined in various ways with olives, artichokes, seafood, veal, chicken, and rice. 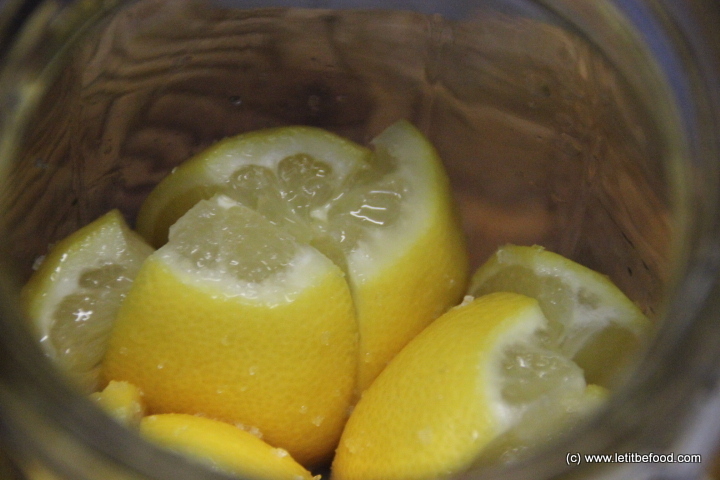 The pickled pulp and liquid can be used in Bloody Marys and other beverages where lemon and salt are used. 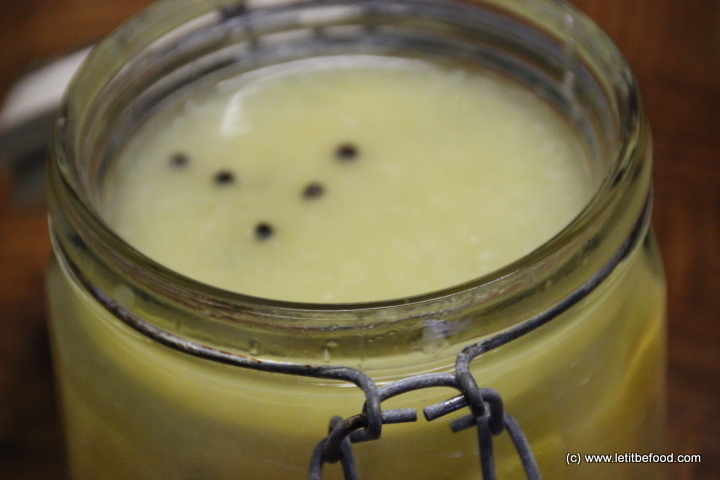 In some cuisines, lemon pickle is a home remedy for stomach disorders and its value is said to increase as it mature.